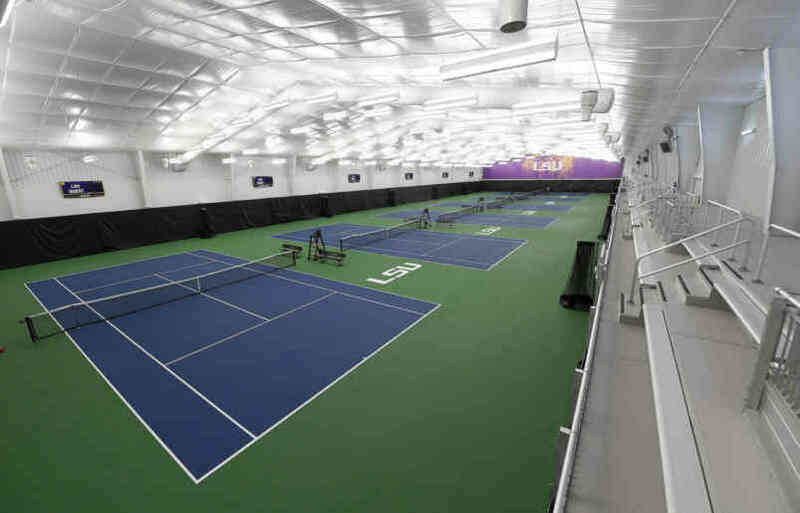 Completed in the Fall of 2015, the LSU Tennis Facility provides the Men’s and Women’s Tennis program with a much needed indoor facility as well as outside stadium and practice courts. 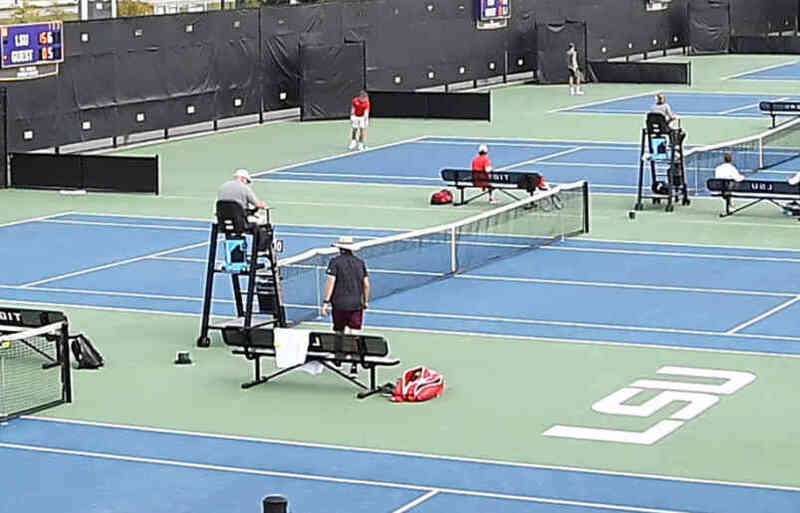 With more than 160,000 square feet of space, the facility features championship-caliber courts with 12 outdoors and six indoors. Housed inside the indoor facility are players’ lounges, locker rooms, cardio room, satellite training room and coaches’ offices for both the men’s and women’s teams. The facility allows the teams to maximize their practice time and is a tremendous asset in recruiting the best student-athletes to the programs. Point-by-point scoring is available through Daktronics scoreboards on all 18 courts within the facility for an enhanced fan experience. 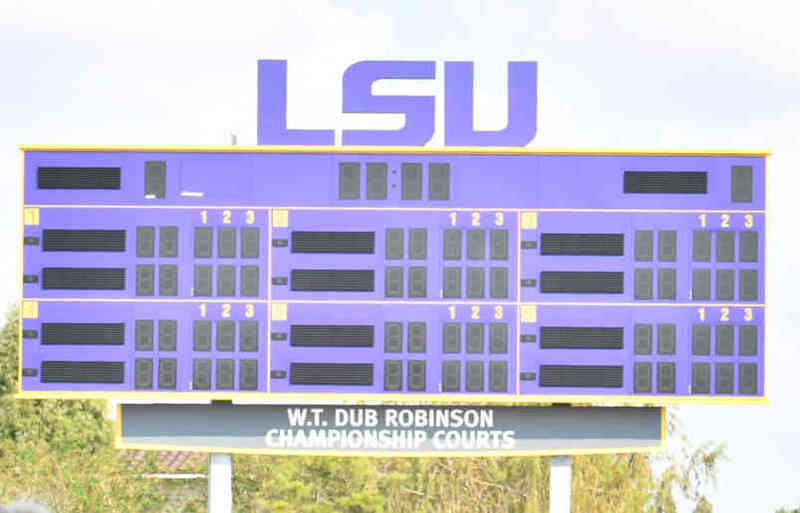 Each set of courts also features a larger scoreboard with scores from all six courts. 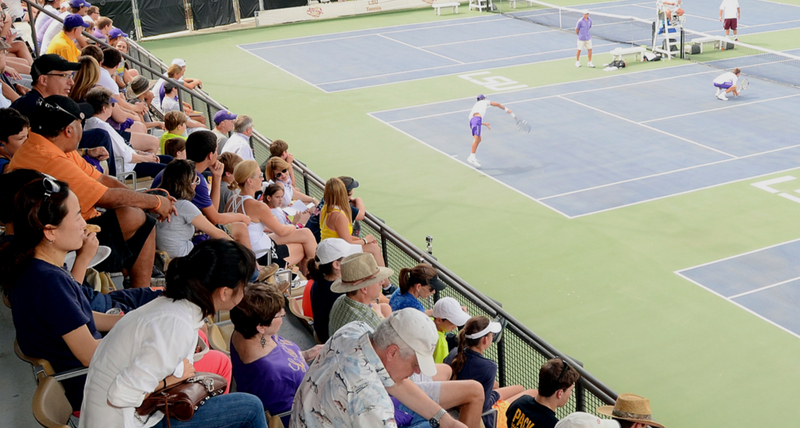 Fans may enjoy all the action with excellent sight lines from a total of 1,400 seats facing the 12 outdoor courts. The six indoor courts allow the Tigers to host different tournaments in front of more than 300 fans above the playing surface. The new facility also guarantees that both teams will never miss a practice or match due to unfavorable weather conditions. Nothing unites and inspires the people of Louisiana like LSU Athletics. 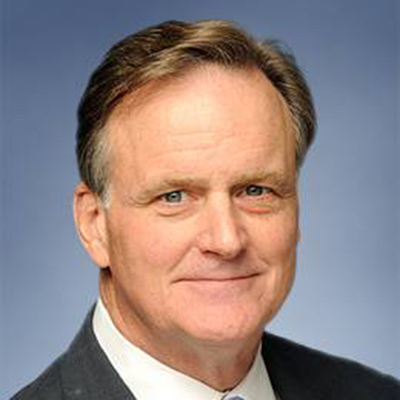 TAF enables LSU athletic programs to compete at a level which justifies that pride.